All Festival concerts begin at 6:30 PM, in part so concertgoers can make their 8:00 PM dinner reservation! If you want to dine during the show, check out the lawn. Audience members seated in the Pavilion are welcome to enjoy snacks and beverages purchased at the Resort bars. The Sun Valley Resort operates three bars before each concert: On the West Terrace by the Main Entrance, on the East Terrace, and at the Paver Bar on the lawn. Guests are welcome to bring drinks and light snacks to their seats in the Pavilion. 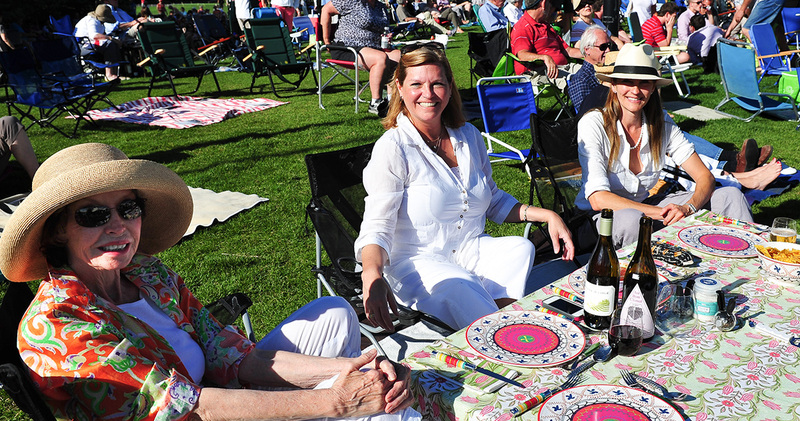 Picnicking at a summer concert is a Sun Valley tradition! Make your own, or ask one of the local eateries to prepare a gourmet basket for you. Please make sure you pack out your trash to help keep the lawn green and beautiful for the next concert.